An important decision point when working with a sample of data is whether to use parametric or nonparametric statistical methods. Parametric statistical methods assume that the data has a known and specific distribution, often a Gaussian distribution. If a data sample is not Gaussian, then the assumptions of parametric statistical tests are violated and nonparametric statistical methods must be used. There are a range of techniques that you can use to check if your data sample deviates from a Gaussian distribution, called normality tests. In this tutorial, you will discover the importance of checking whether a data sample deviates from the normal distribution and a suite of techniques that you can use to evaluate your data sample. How whether a sample is normal dictates the types of statistical methods to use with a data sample. Graphical methods for qualifying deviations from normal, such as histograms and the Q-Q plot. Statistical normality tests for quantifying deviations from normal. Update May/2018: Updated interpretation of results for Anderson-Darling test, thanks Elie. Update May/2018: Updated language about “reject” vs “failure to reject” H0. Photo by Ramoun Cabuhay, some rights reserved. What Test Should You Use? A large fraction of the field of statistics is concerned with data that assumes that it was drawn from a Gaussian distribution. If methods are used that assume a Gaussian distribution, and your data was drawn from a different distribution, the findings may be misleading or plain wrong. There are a number of techniques that you can check if your data sample is Gaussian or sufficiently Gaussian-like to use the standard techniques, or sufficiently non-Gaussian to instead use non-parametric statistical methods. There is also some middle ground where we can assume that the data is Gaussian-enough to use parametric methods or that we can use data preparation techniques to transform the data to be sufficiently Gaussian to use the parametric methods. Input data to the model in the case of fitting models. Model evaluation results in the case of model selection. Residual errors from model predictions in the case of regression. Graphical Methods. These are methods for plotting the data and qualitatively evaluating whether the data looks Gaussian. Statistical Tests. These are methods that calculate statistics on the data and quantify how likely it is that the data was drawn from a Gaussian distribution. Methods of this type are often called normality tests. Before we start looking at normality tests, let’s first develop a test dataset that we can use throughout this tutorial. We will generate a small sample of random numbers drawn from a Gaussian distribution. The choice of Gaussian random numbers for the test dataset means that we do expect each test to correctly identify the distribution, nevertheless, the small-ish sample size may introduce some noise into the results. We will use the randn() NumPy function to generate random Gaussian numbers with a mean of 0 and a standard deviation of 1, so-called standard, normal variables. We will then shift them to have a mean of 50 and a standard deviation of 5. Running the example generates the sample and prints the mean and standard deviation of the sample. We can see that the mean and standard deviation are reasonable but rough estimations of the true underlying population mean and standard deviation, given the small-ish sample size. We can create plots of the data to check whether it is Gaussian. These checks are qualitative, so less accurate than the statistical methods we will calculate in the next section. Nevertheless, they are fast and like the statistical tests, must still be interpreted before you can make a call about your data sample. In this section, we will look at two common methods for visually inspecting a dataset to check if it was drawn from a Gaussian distribution. A simple and commonly used plot to quickly check the distribution of a sample of data is the histogram. In the histogram, the data is divided into a pre-specified number of groups called bins. The data is then sorted into each bin and the count of the number of observations in each bin is retained. The plot shows the bins across the x-axis maintaining their ordinal relationship, and the count in each bin on the y-axis. A sample of data has a Gaussian distribution of the histogram plot, showing the familiar bell shape. A histogram can be created using the hist() matplotlib function. By default, the number of bins is automatically estimated from the data sample. A complete example demonstrating the histogram plot on the test problem is listed below. Running the example creates a histogram plot showing the number of observations in each bin. We can see a Gaussian-like shape to the data, that although is not strongly the familiar bell-shape, is a rough approximation. Another popular plot for checking the distribution of a data sample is the quantile-quantile plot, Q-Q plot, or QQ plot for short. This plot generates its own sample of the idealized distribution that we are comparing with, in this case the Gaussian distribution. The idealized samples are divided into groups (e.g. 5), called quantiles. Each data point in the sample is paired with a similar member from the idealized distribution at the same cumulative distribution. The resulting points are plotted as a scatter plot with the idealized value on the x-axis and the data sample on the y-axis. A perfect match for the distribution will be shown by a line of dots on a 45-degree angle from the bottom left of the plot to the top right. Often a line is drawn on the plot to help make this expectation clear. Deviations by the dots from the line shows a deviation from the expected distribution. We can develop a QQ plot in Python using the qqplot() statsmodels function. The function takes the data sample and by default assumes we are comparing it to a Gaussian distribution. We can draw the standardized line by setting the ‘line‘ argument to ‘s‘. A complete example of plotting the test dataset as a QQ plot is provided below. Running the example creates the QQ plot showing the scatter plot of points in a diagonal line, closely fitting the expected diagonal pattern for a sample from a Gaussian distribution. There are a few small deviations, especially at the bottom of the plot, which is to be expected given the small data sample. There are many statistical tests that we can use to quantify whether a sample of data looks as though it was drawn from a Gaussian distribution. Each test makes different assumptions and considers different aspects of the data. We will look at 3 commonly used tests in this section that you can apply to your own data samples. Before you can apply the statistical tests, you must know how to interpret the results. Statistic: A quantity calculated by the test that can be interpreted in the context of the test via comparing it to critical values from the distribution of the test statistic. p-value: Used to interpret the test, in this case whether the sample was drawn from a Gaussian distribution. Each test calculates a test-specific statistic. This statistic can aid in the interpretation of the result, although it may require a deeper proficiency with statistics and a deeper knowledge of the specific statistical test. Instead, the p-value can be used to quickly and accurately interpret the statistic in practical applications. The tests assume that that the sample was drawn from a Gaussian distribution. Technically this is called the null hypothesis, or H0. A threshold level is chosen called alpha, typically 5% (or 0.05), that is used to interpret the p-value. In the SciPy implementation of these tests, you can interpret the p value as follows. p <= alpha: reject H0, not normal. p > alpha: fail to reject H0, normal. This means that, in general, we are seeking results with a larger p-value to confirm that our sample was likely drawn from a Gaussian distribution. A result above 5% does not mean that the null hypothesis is true. It means that it is very likely true given available evidence. The p-value is not the probability of the data fitting a Gaussian distribution; it can be thought of as a value that helps us interpret the statistical test. The Shapiro-Wilk test evaluates a data sample and quantifies how likely it is that the data was drawn from a Gaussian distribution, named for Samuel Shapiro and Martin Wilk. In practice, the Shapiro-Wilk test is believed to be a reliable test of normality, although there is some suggestion that the test may be suitable for smaller samples of data, e.g. thousands of observations or fewer. The shapiro() SciPy function will calculate the Shapiro-Wilk on a given dataset. The function returns both the W-statistic calculated by the test and the p-value. The complete example of performing the Shapiro-Wilk test on the dataset is listed below. Running the example first calculates the test on the data sample, then prints the statistic and calculated p-value. The p-value is interested and finds that the data is likely drawn from a Gaussian distribution. The D’Agostino’s K^2 test calculates summary statistics from the data, namely kurtosis and skewness, to determine if the data distribution departs from the normal distribution, named for Ralph D’Agostino. Skew is a quantification of how much a distribution is pushed left or right, a measure of asymmetry in the distribution. Kurtosis quantifies how much of the distribution is in the tail. It is a simple and commonly used statistical test for normality. The D’Agostino’s K^2 test is available via the normaltest() SciPy function and returns the test statistic and the p-value. The complete example of the D’Agostino’s K^2 test on the dataset is listed below. Running the example calculates the statistic and prints the statistic and p-value. The p-value is interpreted against an alpha of 5% and finds that the test dataset does not significantly deviate from normal. Anderson-Darling Test is a statistical test that can be used to evaluate whether a data sample comes from one of among many known data samples, named for Theodore Anderson and Donald Darling. It can be used to check whether a data sample is normal. The test is a modified version of a more sophisticated nonparametric goodness-of-fit statistical test called the Kolmogorov-Smirnov test. A feature of the Anderson-Darling test is that it returns a list of critical values rather than a single p-value. This can provide the basis for a more thorough interpretation of the result. The anderson() SciPy function implements the Anderson-Darling test. It takes as parameters the data sample and the name of the distribution to test it against. By default, the test will check against the Gaussian distribution (dist=’norm’). The complete example of calculating the Anderson-Darling test on the sample problem is listed below. Running the example calculates the statistic on the test data set and prints the critical values. Critical values in a statistical test are a range of pre-defined significance boundaries at which the H0 can be failed to be rejected if the calculated statistic is less than the critical value. Rather than just a single p-value, the test returns a critical value for a range of different commonly used significance levels. We can interpret the results by failing to reject the null hypothesis that the data is normal if the calculated test statistic is less than the critical value at a chosen significance level. We have covered a few normality tests, but this is not all of the tests that exist. So which test do you use? I recommend using them all on your data, where appropriate. The question then becomes, how do you interpret the results? What if the tests disagree, which they often will? I have two suggestions for you to help think about this question. Your data may not be normal for lots of different reasons. Each test looks at the question of whether a sample was drawn from a Gaussian distribution from a slightly different perspective. A failure of one normality test means that your data is not normal. As simple as that. You can either investigate why your data is not normal and perhaps use data preparation techniques to make the data more normal. Or you can start looking into the use of nonparametric statistical methods instead of the parametric methods. If some of the methods suggest that the sample is Gaussian and some not, then perhaps take this as an indication that your data is Gaussian-like. In many situations, you can treat your data as though it is Gaussian and proceed with your chosen parametric statistical methods. List two additional examples of when you think a normality test might be useful in a machine learning project. Develop your own contrived dataset and apply each normality test. Load a standard machine learning dataset and apply normality tests to each real-valued variable. In this tutorial, you discovered the importance of checking whether a data sample deviates from the normal distribution and a suite of techniques that you can use to evaluate your data sample. Graphical methods for qualifying deviations from normal such as histograms and the Q-Q plot. You can’t say anything about that hypothesis. Brilliantly put together. Thank you for the post. Now that we know if the data is normally distributed or not, how do we transform data that is not normally distributed into normally distributed? Is boxcox the only way or do you prefer any other method? Awesome question! I have a post on this exact question scheduled. Stand by for a few days. Thanks once again for nice post. Excellent article. 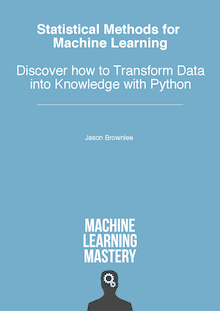 I liked the section where you highlighted the use of parametric of non-parametric model for fitting a ML model depending upon whether the data at hand is close to normal or not. I think most of the books do not really state this explicitly. Jason, this is a great article thanks! so in the case that the data set has multiple real valued features we should be doing this test for each and then if one or more of these features turn out to be non-Gaussian does it mean that whole data set is non-Gaussian? Or should we try to address the non-Gaussian features via the data preparation step? Also, do you have a similar post about the inductive biases of various machine learning algorithms? We would address it one variable at a time. Inductive bias is is more of an abstraction to understand how algorithm design decisions impact the search/choice of mapping hypotheses, it’s not really a measurable quantity. Shouldn’t the Null Hypothesis (H0) be assuming our data to be normal? Correct, H0 is that the data is normal. Please give your valuable suggestions..
Well done, but your link is broken. I’m currently working on project for time series predictions. Basically I use RNN (LSTM) machine learning models for making predictions. Does the normality (or not) of time series I work with affect the way I should construct my models or LSTM can work well even with data that is not normal? Simply, should I always make my time series normal where work with LSTM? It may, it really depends on the problem. I’d recommend evaluating multiple different preparations of your input data. How would you analyze highly right skewed data like salary data where few people earn a lot and rest is somewhere in the middle / lower range? Sounds like a power/exponential distribution, not Gaussian. Possibly the only logical and best explained tutorial that I could find after hours of searching. Bookmarked this and will be referring to this over and over again. Can’t thank you enough for your efforts, Dr. Brownlee! I did the Shapiro-Wilk test for alpha = 0.05 and I got a p value = 0.04, the null hypothesis is rejected. The D’Agostino K-square test gave a value of p = 0.191, the null hypothesis is not rejected, and the Anderson-Darling test for four critical values the null hypothesis is rejected and for one critical value the null hypothesis is not rejected . What do you recommend me to do next? only confirming, if my data reject the null hypothesis (not normal), should not I use any model (MAchine Learning) that is based on Gaussian distributions, such as Gaussian processes or exponential smoothing? and if I want to use them, should I process the data ?? Each test gives a different perspective on the normality of your data, you must interest the result in the context of your project/goals. Do you have some pointers for how to test if the components of a Multimodal distributed data are Normal or not? Well, if forced, you could re-define the distribution and cut out an element you think is bell shaped and test that. Sounds dangerously invalid to me. I expect there are far better approaches if you spoke to a real statistician! Perhaps post on the math stackoverflow re best practices in this situation. I was wondering if there is any function in python that assesses multivariate normality. In R, there is the MVN package that does that (https://cran.r-project.org/web/packages/MVN/vignettes/MVN.pdf). Good question, there might be. I’m not sure off the cuff. I understand the importance of testing residuals in a regression model. But the other 2 usages you mention are unclear to me (Input data to the model in the case of fitting models. Model evaluation results in the case of model selection). Can you point to a resource for further explanation? Is this post available yet? Could you perhaps link to it? In which cases it will be helpful to know about distribution of our data? Please share some examples! Almost every time – to aid in data preparation and model selection. Thank you for the good explanation of how to perform normality test on own data. How can I transform a non-normally data in normally data? It depends on how non-normal it is. E.g. perhaps remove outliers, or fix simple issues with a power transform like a boxcox. Thanks for the article. I was wondering if I want to apply these tests on streaming data, what would be the proper window size (window size = number of samples)? can I apply these tests on streaming data with a sliding window? Good question, I don’t know off hand. I expect there might be specific methodologies for handing streaming data. If not, then a representative sample collected over a large interval might be a good start. Great tutorial. I am using Shapiro-Wilk Test to check if my data is normally distributed. I have two sample of distributions, when i test them individually the test says they have a Gaussian distribution. But after combining both into a single larger sample the test says otherwise. Should i be looking for the normality of the combined data? I am trying to compare the two sample distributions to check if they are significantly different. If they are separate samples then it perhaps does not make sense to combine them. Any pointers regarding correctional measures if data is not normally distributed. Asking particularly for to residual plots. How do we test normality of data for multi-dimensional features? Suppose I have 20 features, how should I know whether I run (plain) linear regression or whether I should take interaction terms or transform some features in squares etc??? How do we get to know about it. As a start, perhaps per-feature?